Hunting for treasure…Interior Designer style. Casual-Vintage-Chic is my favorite style at the moment. The quickest way to add character to a home, is to add some instant history, consider old beams as part of your ceiling design, or reclaimed flooring, or even old trim. On Monday, I went to one of my favorite spots. 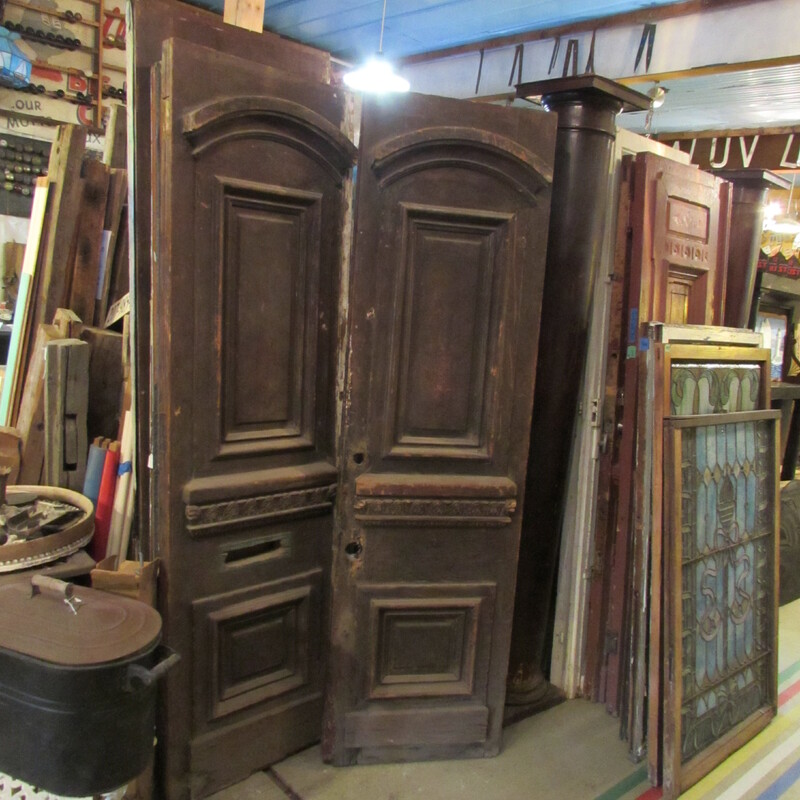 Maine has lots of these places if you are in Portland, ME check out Architectural Salvage. I am working on an exciting new project, in which we are adding interest to a new addition with old doors and windows. Here are some of my treasures. 1. 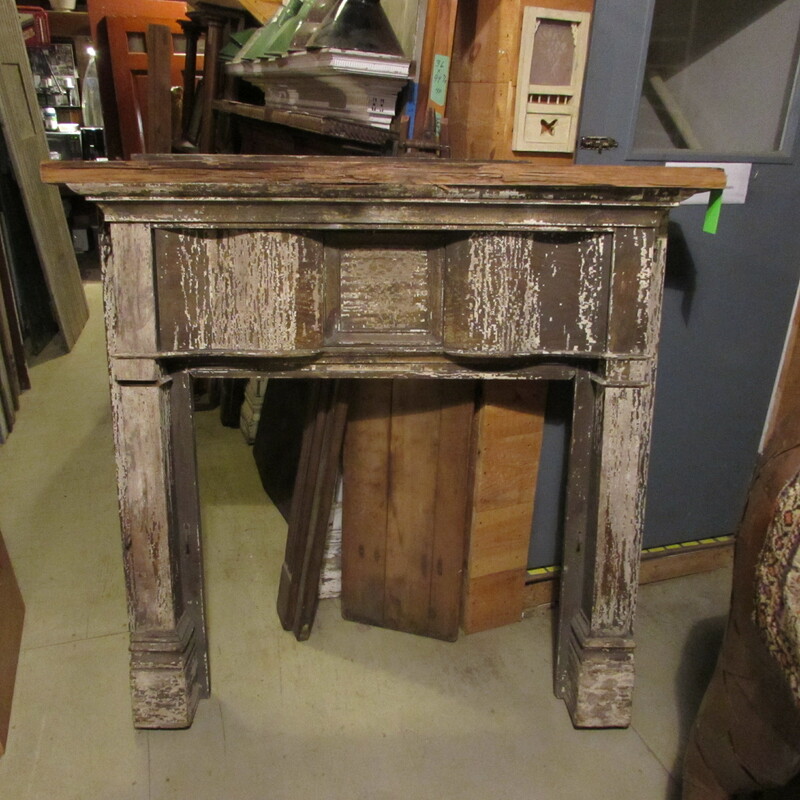 A wonderful mantel that we are going to restore. It is hard to see in the photo but it has a serpentine/wave in it and it is just lovely! 2. This fabulous pair of exterior doors, perhaps from a town house? Will be the new master bedroom doors, they will be incredible when they have been restored. We are going to add a mail slot back to the door! 3. 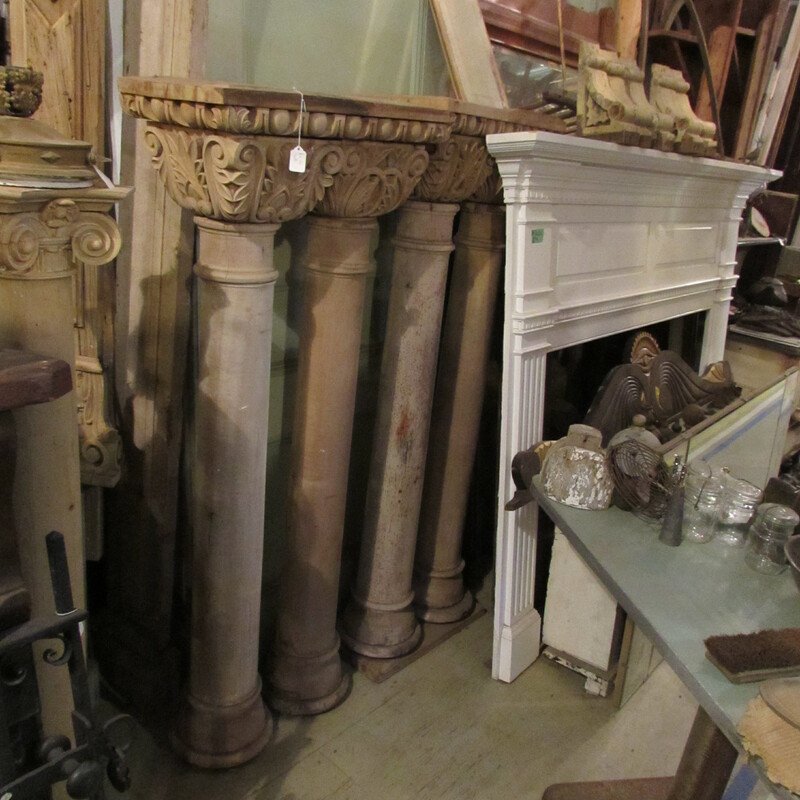 These columns are perhaps our best find. We are using them in both the kitchen island and a built-in bookcase. They are just stunning. 4. Lastly we got this cabinet that we are going to build into the kitchen for storage. Note: The molding with the eye is not ours….it does not go with my vision. We start this project in January, so we needed these items to be added to the plan for the builder. Wait until you see the finished product these treasures will shine! Hope you like this post. Let me know what you think by commenting or liking it! Thank you for stopping by, I hope you are having a wonderful holiday season. Drooling over the mantel! Happy Holidays!